Rosalia Park is located at Lorong Ong Lye off Upper Paya Lebar Road. It is a low density project that house 88 apartments units in a peaceful and quiet location. Good school such as Saint Gabriel’s secondary school, Paya Lebar Methodist Girls’ Primary School and Paya Lebar Methodist Girl’s Secondary School are within 1 km radius. Amenities near to Rosalia Park include shopping centres such as Upper Serangoon Shopping Centre, shops and market. 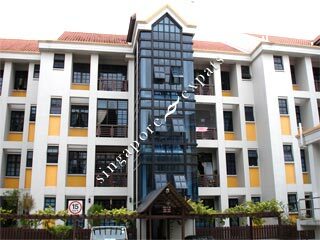 Rosalia Park is easily accessible via Serangoon MRT which is within 10 minutes walk away. Public transport is readily available along Upper Paya Lebar Road. Driving to the Business District takes about 20 minutes.